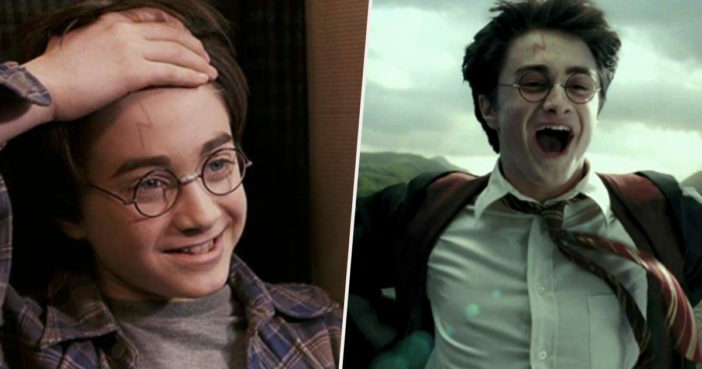 There are certain truths in the Harry Potter cannon, that all those who grew up with the book series and subsequent movie franchise will know to be true. Voldemort will always be plotting dastardly deeds, Gryffindor will always win the house cup, and Harry Potter will always have a distinctive lightning bolt scar on his forehead. The scar is the perhaps one of the most identifying parts of his appearance, more so than his Hogwarts robes or round glasses. It’s the mark which points him out again and again as being ‘the boy who lived’, and the old wound which binds him to the forces of evil. To be told Harry doesn’t have a lightning bolt scar is akin to being informed the Weasley family are actually all blonde. However, this is apparently the case. Someone please cast a rennervate spell, because I am stunned. This bold claim has been made by ‘Today Years Old’, a Twitter page dedicated to obliterating your understanding of the world – both muggle and wizarding – with cold, hard facts. Potterheads will already know Avada Kedavra was the killing curse used to murder Harry’s parents, with Harry surviving on account of the sacrificial protection of his mother’s love. Honestly, between this revelation, and finding out Hogwarts students used to just freely poop themselves and make it vanish, I don’t think I can handle any more new information right now.